As Principal Viola with the BBCSSO, Carolyn featured as soloist on Radio 3 in Harold in Italy, Berlioz, Mozart's Symphonia Concertante, and Benjamin Britten's Lachrymae. 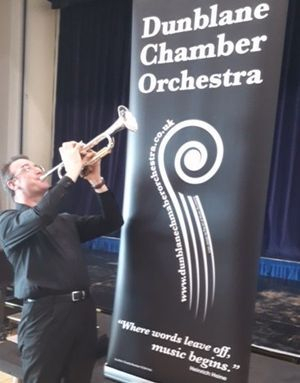 Since leaving the BBCSSO, Carolyn has begun to make her mark as a composer, her quartet heralded as 'truly an inspirational, moving, and challenging addition to the 21st century quartet repertoire' by Alan George of the Fitzwilliam Quartet, who gave the first, and subsequent performances. Her virtuosic viola solo, Les Planchistes de Paris, which is a celebration of skateboarding, has also been welcomed enthusiastically, and her piano solo, Field, inspired by Anthony Gormley's sculpture of the same name, has become part of pianist Katherine Durran's repertoire. 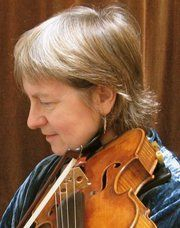 Carolyn Sparey has been enjoying some exciting successes regarding her compositions over the past couple of years, with performances of some of her work taking place in British Columbia, [March/April 2007], The Faroe islands [September 2007], Orkney and the Isle of Skye [autumn 2007], and Mauritius [February 2006], where her work was exclusively featured in an hour-long TV programme as well as various venues around the island. In September 2006, Rivka Golani came across some viola compositions and recordings by Carolyn Sparey, which prompted her to ask Carolyn if she would write her a viola concerto. Carolyn has just completed the 3 movement, 30 minute concerto entitled "From Behind the Veils", which is a tribute to the great 19th century Persian poetess, Táhirih, who was imprisoned and then killed for her faith. The work is scored for chamber orchestra and solo viola." [Click here for full details].